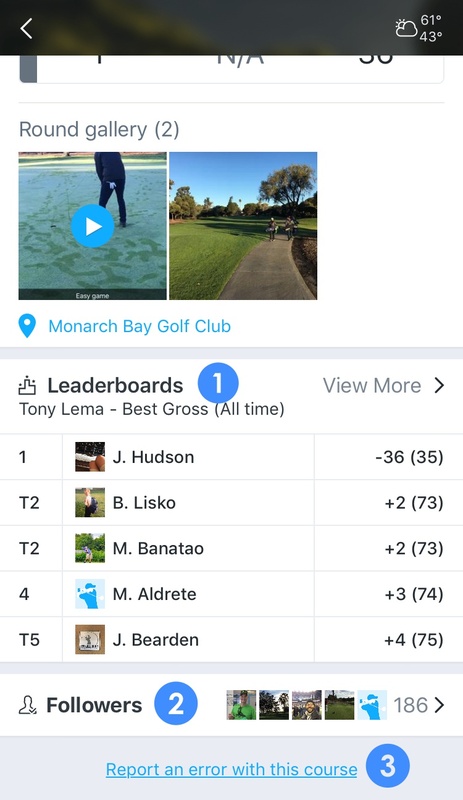 Use Leaderboards and Followers in 18Birdies Course Profiles to see how you rank against other players at the course and expand your golfing network! Find or search for a golf course and tap the course name to open the course profile. Tap anywhere within the Leaderboards box to open the Leaderboard screen for the course. Toggle between All Time and Monthly leaderboard, and then toggle between the Gross or Birdies Leaderboard to refine your view. Tap any players name to open the scorecard for that round. Tap anywhere in the Followers box to open the Followers screen. Tap any players name to open the user profile. Tap Add next to any players name to add that user to your golf network. 19 Leaderboards from 18Birdies on Vimeo.